Wield your sword without hindrance by choosing the best pieces of plate armour for your style of fighting. The Hourglass Demi Gauntlets keeps your fingers nimble while protecting your wrist and the back of your hand. The clever design and superb craftsmanship of this hand armour offers unrestricted movement while providing great protection. Wear these hourglass gauntlets with a pair of chainmail or padded leather gloves, and you will be ready for battle. 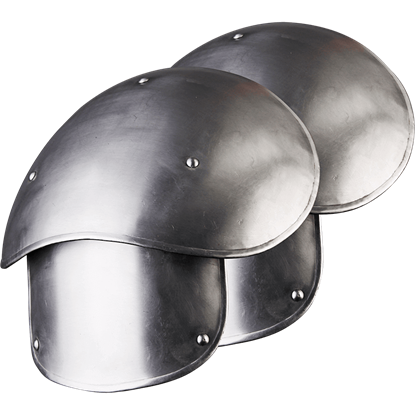 These medieval demi-gaunts are crafted from 19 gauge mild steel with top-grain leather fittings. The polished finish ensures that they will look great when paired with other pieces of our steel armour. These bracers are a compliment to the medieval warriors outfit. They are made of 13/15 oz. 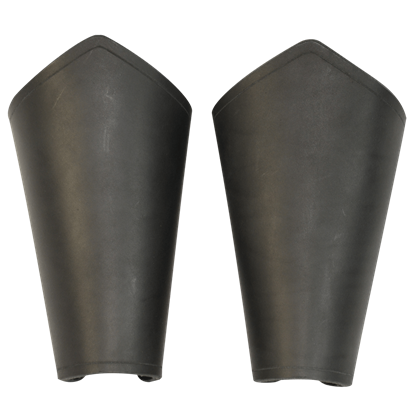 thick armor grade leather, allowing them to provide great protection whenever you battle or enter into a reenactment. 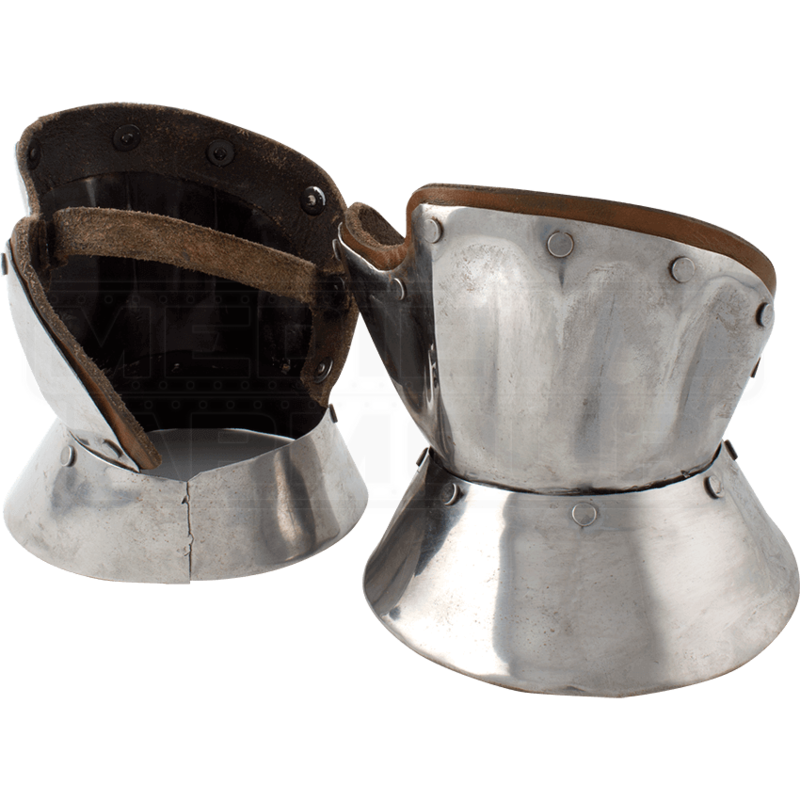 Perfect for wearing to your next LARP battle, the Large Steel Elias Spaulders feature a segmented design, offering an impressive look. The shoulder armour possesses a bright metal finish that goes well with medieval knight ensembles.